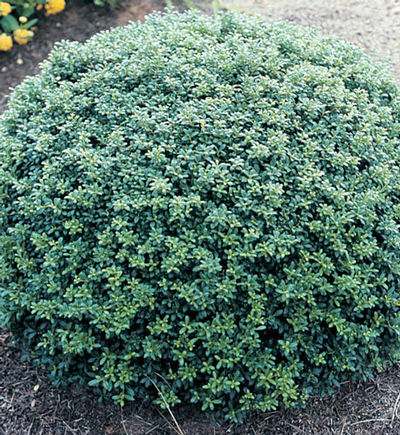 A delicate dense, low compact, mounding shrub with a dark green foilage that is soft to the touch. This is a great plant that could be used to replace Helleri. It is drought tolerant, adapts to many soil conditions and is cold hardier than the Helleri. Little or no maintenance makes it an excellent choice for foundation, borders, or where a small hedge is needed. We offer the Soft Touch 18" to 24" in a 5 gallon container. Fertilize in spring with an all purpose fertilizer before new growth begins. Click on the "About Us" tab for planting instructions.